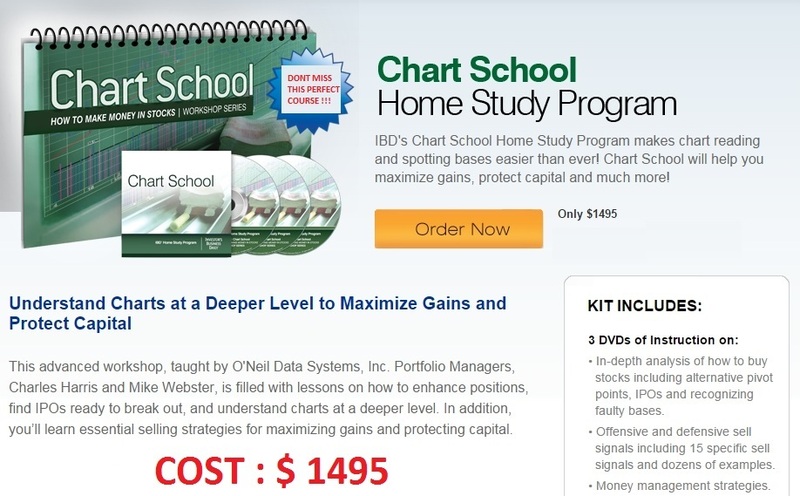 IBD's Chart School Home Study Program makes chart reading and spotting bases easier than ever! Chart School will help you maximize gains, protect capital and much more! This advanced workshop, taught by O'Neil Data Systems, Inc. Portfolio Managers, Charles Harris and Mike Webster, is filled with lessons on how to enhance positions, find IPOs ready to break out, and understand charts at a deeper level. In addition, you’ll learn essential selling strategies for maximizing gains and protecting capital. • Buy points and alternative buy points. • Introduction to IPO and Initial bases.